It has become something of an analytical commonplace to see the rise of populist nationalism (or national populism)--the development of nationalist parties in Europe, the Brexit vote in the UK and The Donald winning the Electoral College (and thus the US Presidency) in the US--as signifying "a revolt against globalisation". That is not a useful way of looking at the phenomenon. Particularly not in the case of Brexit, given that prominent supporters of Brexit were pro free trade and, according to polling, the British electorate at large is very strongly pro-trade. globalisation: the increasing range and density of cross-border transactions of all varieties, including (in some ways especially) the flow of information. Globalisation is driven by falling transport and communication costs. internationalisation: increasing use of international organisations to make or adjudicate policy decisions. The EU is internationalisation par excellence, but there are many manifestations of it, including the WTO and the International Criminal Court. 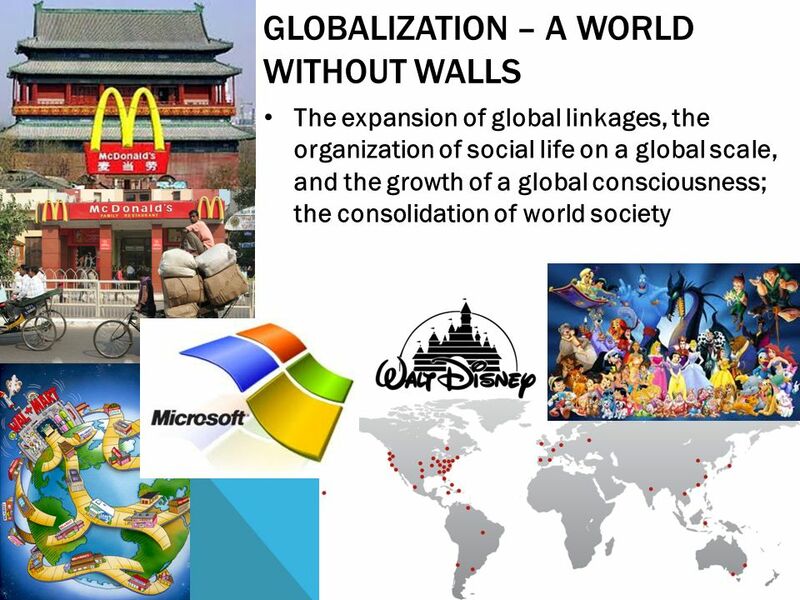 globalism: advocacy of rising international flows of goods, services and finance, of internationalisation and high levels of migration. Globalism is a set of policy positions, amounting to something close to articles of faith: particularly supporting migration. This then also becomes an objection to globalism. The other clear point of contention with globalism is migration. The standard line among "serious" folk is that migration is good for one's economy. Well, it can be, but it need not be. The migration of Palestinians into Lebanon was, for example, very bad for the Lebanese economy because it destabilised Lebanese politics leading directly to the Lebanese Civil War. The pressures, and political responses, to mass migration in the Antebellum US helped destabilise it, being part of the events that led to the American Civil War. Yes, both polities had serious internal fissures, but the notion that immigration cannot be de-stabilising is patent nonsense. To take a milder example, the Nordic model of high levels of social provision and high levels of economic freedom relies quite crucially on strong connections and easy communication between officials and public based on shared expectations and values to permit relatively high efficiency in provisions of social services. The more diverse the spread of expectation and values are among the population, the more difficult such a high tax-spend social equilibrium becomes. Muslim migration to Sweden and other Nordic countries must tend to, over time, make that social equilibrium less stable--particularly as such a narrow range of migrants are being imported, making it much less likely that Nordic norms will be adopted by the newcomers and much more likely that Islamic norms will operate as a counter-identity. Migration may not de-stabilise the polity as such (though the rise of the Sverigedemokraterna or Sweden Democrats has upset the structures of Swedish politics) but it can certainly de-stabilise the existing policy regime. Treating immigration as an unalloyed good, and migrants as an undifferentiated mass, is propagandistic nonsense. That does not stop folk being outraged when the costs of migration are raised, or when folk suggest that there might be reasons to differentiate between sources of migrants. For example, there is no benefit from Muslim migrants that are not available from other migrants. There are costs from Muslim migrants which are either specific to, or particularly intense among, Muslims. Of course lots of folk are sceptical about Muslim migration. This is not opposition to globalisation. It is not even opposition to migration--a poll that found almost half of Australians thought Muslim migration had been bad for Australia also found that almost 70% were comfortable with more migration. Dismissing the hostility to Muslim migration as xenophobia, racism, anti-immigrant, anti-globalisation simply epitomises the way language taboos are used to discount popular concerns and (worse) do so by degrading the moral status of fellow citizens. The contrast with the po-faced pieties whereby Islamic jihadism is framed until it is not even Islamic screams the contempt for fellow citizens, and the moral mascot/sacred victim elevation of newcomers, involved in so much globalist self-congratulation. Which is just the sort of smug hostility to citizen concerns that fuels opposition to globalism. 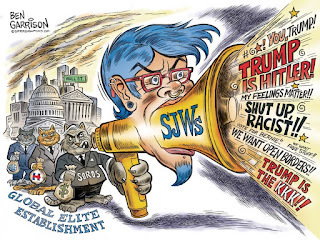 Globalists have an interest in framing opposition to their preferred policies, and the ways in which they are pushed, as opposition to globalisation, because it redirects away from critical scrutiny of themselves and their preferred policy outcomes. Folk do better in Western countries. This is an obvious truth which fuels migration to those countries. Once, however, one begins to consider other issues, the issues regarding migration become much more complex. We can dismiss immediately the fact that more people buying and selling makes an economy bigger. That is true, but not the key issue for existing citizens. What are the per capita effects, and how are they distributed, is what matters for domestic politics and democratic accountability. Citing the benefits to non-citizens as reasons to over-rule the concerns of actual citizens is fundamentally opposed to any serious concept of democratic accountability. That sort of globalism is more-or-less guaranteed to generate popular hostility, as an obvious response to its hostility to the populace. Once we start looking at the per capita effects, the economics of migration becomes much more complicated. If one's analytical model is unable to usefully differentiate between people in the economy, then it is unable to provide analysis in anyway useful for understanding the implications of migration. Hence, all (single) representative agent models can be dismissed. Effects on housing, for example, provide a good example of the analytical difficulties. 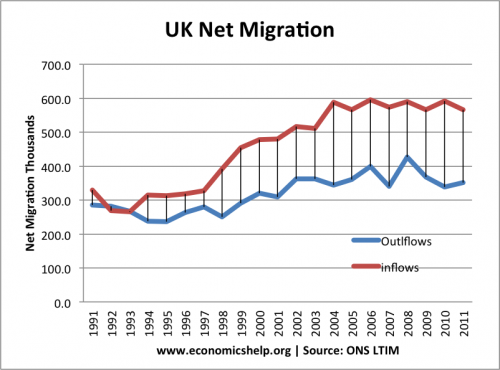 Bringing in migrants will, in sufficiently supply-constrained housing markets, drive up house prices and rents. That is increased economic activity (of a sort) but clearly one that benefits folk owning housing and not folk who rent. Unless one's economic model quantifies the effects of driving up shelter costs on non-homeowners, and assigns that cost to the relevant groups (and the benefit to others) then it will register the effect of migration as a net benefit, even though significant groups of citizens are being directly disadvantaged by that effect from migration. Especially as having lots of non-citizens (and so non-voters) among entrants to housing markets makes it easier to politically discount the interests of such entrants and so set up regulatory supply constraints on land for housing. Then there are the dynamic and social interaction costs of migration. Economics still lacks a robust model of long-term economic growth able to explain the wildly disparate performance of economies--the wildly disparate performance which drives so much migration towards Western countries in the first place. Unless an economic model can incorporate the dynamic effects of different groups of migrants on the functioning of the society, it cannot make useful analysis of the long term effects of migration. Which, in the absence of said robust model, economic models currently cannot. What economic model can, for example, incorporate having to add security guards to swimming pools, and the shift in ordinary social expectations and experience that entails, in the net effects of migration? The effects of systematically lowering the level of trust in a receiving society are very much part of the potential implications of migration. Consider the effect of substantial migration on the scarce good of policy and political attention. Bringing in lots of migrants, particularly under the rubric of multiculturalism, which lowers the cost of migration to the newcomers but raises it for the residents, has meant that policy and political attention gets directed towards the newcomers. Especially when they live where the policy makers live, and where those commanding the "cultural commanding heights" live. Which means less policy and political attention gets applied to areas where that is not so. If you think folk do not notice, you are not paying attention. That support for Brexit was stronger in areas with less migration has been commented on as if this shows how "stupid" Brexit voters were. On the contrary, it showed that voters in such areas noticed the attention they weren't getting: which was precisely the point. Add in the tendency to speak as if migration somehow "redeems" the society, and the wider tendency to disparage the culture and history of Western societies (treating then as Haan history repositories of sin rather than Whig history repositories of achievement) and the cost of migration mounts further. Resident citizens are not only being downgraded in terms of policy and political attention, they are, in a signifiant and serious sense, being systematically culturally disrespected and downgraded in status. Costs which are again not incorporated into economic models. Finally, mass migration has genuine potential to go horribly wrong. Sufficiently misconstrued migration policy can significantly destabilise societies and/or undermine what makes societies attractive destinations in the first place. Refusal to even admit this possibility actually makes it more likely, not less. In the US, the failure of median incomes to increase suggests that, whatever benefits migration and trade are generating to the US economy, those benefits are either not reaching a significant number of folk or are being overwhelmed by other factors. If significant political and policy attention is not paid to, or analysts fail to provide and propagate effectively good explanations, for those outcomes, then folk can hardly be blamed for reaching for easy explanations. There is a great deal of not-noticing arrogance in globalism, and a significant strain of hostility to democratic accountability. 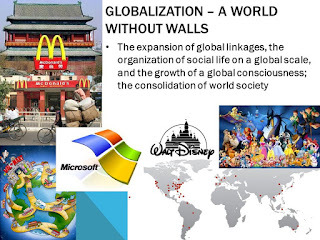 The self-serving appeal for globalists in parading popular hostility that their failings (and smug arrogances) generate as "hostility to globalisation" is obvious. It is not, however, a parading which should be accepted. The actual story is rather more complicated and, until folk notice those complications, more popular revolts can be expected. ADDENDA: The working class resentment of professional folk who "order them around every day" noted in this insightful piece is also relevant. Globalist politics are the politics of the professional class in particular and globalist politics all too often epitomise the "the dorky arrogance and smugness of the professional elite". Expertise is not wisdom; even more as experts are prone to over-estimate how much they actually know and then confuse that over-estimation with wisdom. Add in sermonising (and the motivated reasoning such naturally entails) and they can be deeply blind to what they do not see and even more blind to how they seem.